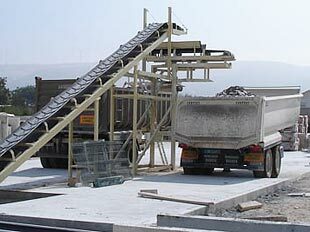 Water and waste recycling and the reconversion of the stones in natural spaces are the ways in which we increase the quality of the company's products. Conscious that only by committing to the quality and sustainability of its products can the company continue to be one of reference, SOLANCIS controls its manufacturing processes rigorously, according to national and international standards. In an increasingly competitive market, with ever more demanding customers, companies must differentiate themselves, not only by way of service and product quality, but also by their attention to environmental concerns and those relating to health and safety. SOLANCIS decided to commit to the implementation of an integrated system for quality, environment and health and safety at work, following the standards NP EN ISO 9001:2008, NP EN ISO 14001:2004 and OHSAS 18001:2007. With the implementation of the Integrated System, SOLANCIS intends to obtain the highest quality of its products and services and, at the same time, contribute to the sustainable development of the country. This is only possible by identifying the environmental aspects inherent with its activity, minimizing negative impacts and ensuring safe conditions for its employees. 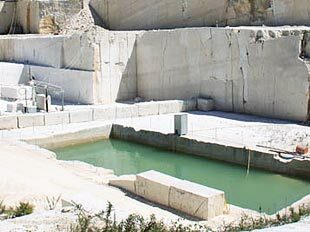 The quarry industry is striclty regulated and legislated in an attempt to find compatability in the value of protecting natural resources together with the development of human activities. 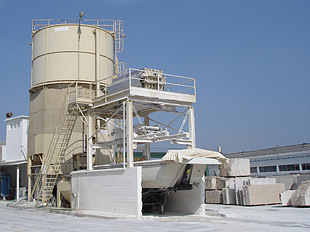 Consequently, as well as environmental measures in effect on a national level, SOLANCIS complies with the specific guidelines set out by the Natural Park Serras de Aire and Candeeiros (PNSAC), where some of its quarries are located. One of the requirements associated with quarry licencing is the presentation of an Environmental and Landscape Recovery Plan (PARP). This document sets out environmental measures, landscape recovery and the solutions proposed on the closure of the quarry. Apart from this, the licencee must supply a Triennial Activity Plan to the licencing entity, outlining the objectives to be attained in terms of the areas to be exploited and landscape recovery of the same. 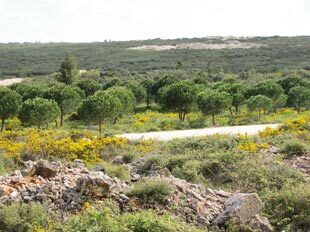 The compulsory triennial inspection of the quarry carried out by the competent authorities is based on this plan. 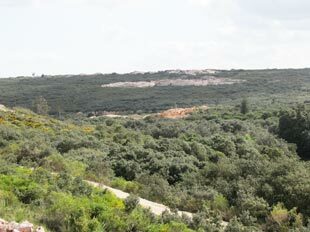 Some of SOLANCIS' quarries are situated in the Natural Park Serras de Aire and Candeeiros (PNSAC), a protected area since 2010 with its own environmental regulations. As well as norms in effect on a national and international level, the PNSAC Development Plan adds other requisites. 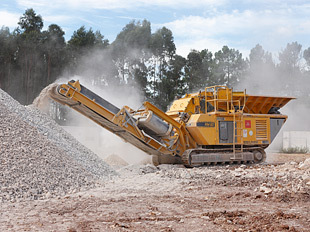 Therefore, the opening of a quarry or the amplification of an existing one in the PNSAC area is only authorized if the applicant commits to the recuperation of a licenced exploitation or a degraded area of the same size, irrespective of its location. In some cases, depending on the level of protection in the area under scrutiny, the recovery of a degraded area must be double that of the area to be increased.